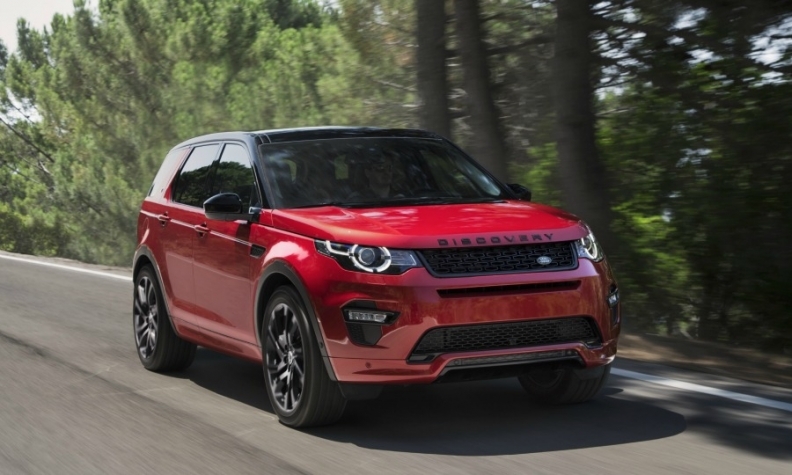 The Land Rover Discovery Sport was Jaguar Land Rover's best-selling model last month. Jaguar Land Rover reported a 29 percent rise in global sales to a record 75,303 cars last month, buoyed by strong demand for its Jaguar XE and Land Rover Discovery Sport models. The figure helped push three-month sales to 158,813, a rise of 28 percent, JLR said in a statement on Thursday. Sales in Europe jumped 49 percent last month, while volume in China rose 43 percent. North American deliveries increased by 33 percent. Sales growth in March at Land Rover was driven by the Discovery Sport, with sales of 16,937 units, followed by the Range Rover Evoque (15,904) and the Range Rover Sport (11,003). In total, Land Rover sold 60,128 vehicles, a rise of 22 percent. Jaguar recorded its best-ever March with 15,175 deliveries, a rise of 62 percent. The best-selling models were the XE, with a volume of 6,521, followed by the 5,331 sales of the all-new XF. For the fiscal year ending March 31, JLR sold 521,571 vehicles, a rise of 13 percent and its highest-ever annual sales. JLR expects a further sales boost when deliveries of the Jaguar F-Pace SUV begin next month.